BRAND NEW. NEW MODEL - now with Throttle cable! *We recommend the use of our STAGE 1 FLYWHEEL when upgrading your engine for safety and club track rule adherance. REMOVE YOUR GOVERNOR WITHOUT OPENING YOUR ENGINE WITH THIS KIT. Throttle Linkage upgrade pack to suit our CPR 6.5HP honda clone engines. 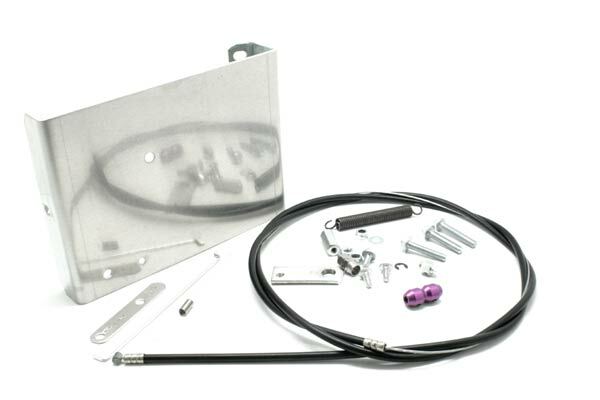 This kit adds a remote linkage to your 6.5hp engine, removing the governor in the process. Can be used to replace the static lever on 4-stroke engines, or as a simple way to remove the governor, or as part of a complete race upgrade. Bolt-on complete fitment for our CPR 6.5HP engines. 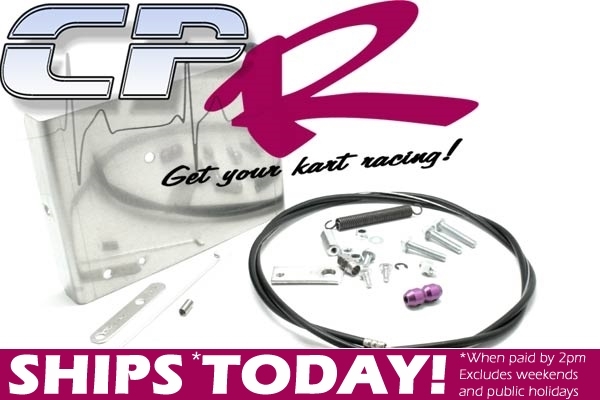 *Note - fitting top plate will require removal/relocation of standard fuel tank. Our external fuel pump will bolt directly to the pre-drilled holes in the top plate in this kit.